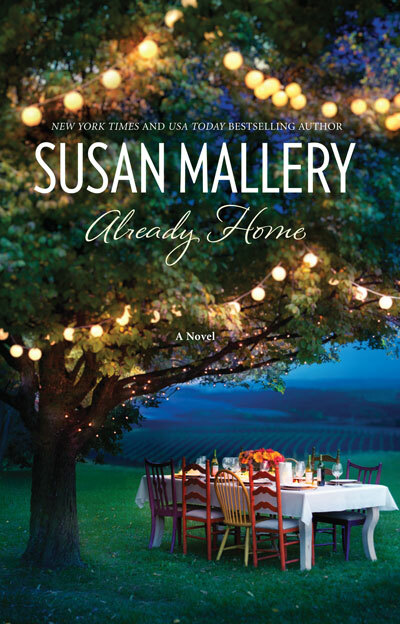 I have enjoyed almost everything I’ve read by Susan Mallery, some of her books I liked more than others, and some of them are pure gold. I believe this book falls into the last category. Already Home is about a group of women whose lives get mixed together by different reasons. Jenna is recently divorced and is back at home, her self-esteem has gotten such a huge blow that she is even changing careers, she used to be a chef but now feels so insecure that is starting a cookware store. Violet is also insecure in her personal life, but for a complete different set of reasons, she comes to the store looking for a job, and quickly a friendship ensures between the two of them. On the other hand is Beth, she is Jenna’s adoptive mother, and she is happy that her daughter is back in town, but is worried about her. And then, along comes Serenity, she is Jenna’s birth mother and has come to meet her daughter. Needless to say that Jenna is shocked and not too happy about it. This book has a lot going on, but Mallery tells the story in a way that it doesn’t feel confusing, or complicated, and she treats every character as a leading lady, they all get the spotlight at the right time, and that gave me the opportunity to get to know each one of them, and specially let me connect and relate to them. I loved both Jenna and Violet, I liked how they were aware of their flaws, and I liked how they each learned from their mistakes. I think Violet’s story in particular had the potential to become a soap fest and a melodrama, but it never felt that way, and I am really glad, I think is great to have wounded characters, but there is a fine line between sympathy and pity. Jenna’s reaction to Serenity was realistic, and the development of their relationship was slow and full of highs and lows. Beth’s character was also real, at first she reacts almost too good and carefree to Serenity, but then she cracks and the insecurities start to show. Serenity was perhaps my least favorite character, but it was more of a personal reaction, I didn’t really understand the reasons behind her showing up like that, and that is part of the plot, you have to read the entire book to find out, but she was just too wise, too perfect, sometimes she rubbed me the wrong way. You will notice that I haven’t mentioned any romance, and that is because this is not really a romance novel, yes, there are love interests for both Violet and Jenna, but they play a secondary role, and in this case that is ok because the book is about other types of love, the love between friends, the love between mother and daughter, the love between married couples, the love between siblings, and self-love. If you expect a book where the main couple relationship gets all the attention, then don’t read this one, there are lots of different POVs in this one, but they are all the women’s, I don’t think there was any need for us to get into the men’s heads though, their intentions towards the heroines were really clear. I did feel that the ending was a bit rushed, maybe the book would have benefited by some extra pages, or perhaps an epilogue (although I’m not much of a fan of those), there were some actions and decisions left unexplained, and we do get the certainty that everything is going to just fine, and the girls do get their HEA, but maybe it would have been nice to see it. And yeah, the very last sentence was really, really corny, at least for my taste. Overall it was a wonderful story, very heartening, I laughed, I cried, it kept me glued to my seat, and after reading it I feel the need to recommend it to everyone. 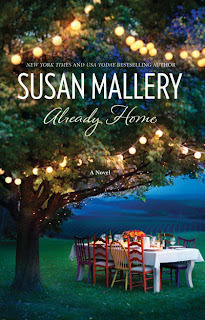 Go and buy it, and if this is your first encounter with Susan Mallery (although I don’t think there is a fan of romance out there that is not familiar with her) go and check her backlist because she is very talented, and this book was the perfect example of that. After nearly a decade as a sous-chef in a trendy eatery, Jenna is desperate for a change. She's supported her ex-husband's dreams for so long that she can't even remember her own. Until she sees a for-lease sign near her parents' home and envisions her very own cooking store.Her crash course in business is aided by a streetwise store manager and Jenna's adoptive mother. But just as she's gaining a foothold in her new life, in walk her birth parents—aging hippies on a quest to reconnect with their firstborn.Now Jenna must figure out how to reconcile the free-spirited Serenity and Tom with her traditional parents, deal with her feelings for a new love interest and decide what to do about her ex's latest outrageous request. In the end, Jenna will find that there is no perfect family, only the people we love…. The cover is beautiful! I want to have a picnic right there! I could read it just for the cover only! And a 4's definitely not bad. Yup, I've decided: it's going up on my to-read list! That's so cool! But now I regret the day I got a Blackberry instead of an iPhone!